If you’re wandering in the desert, and there isn’t enough water to go around, you need to be able to tell your friends at the well from your foes. 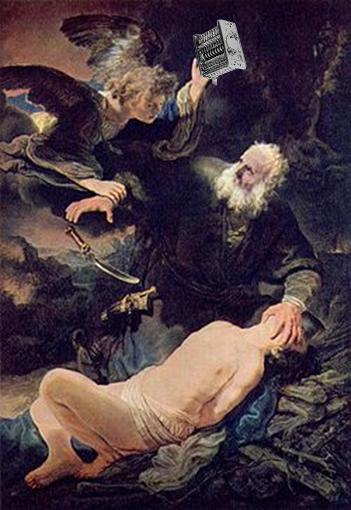 The ancient Hebrew tribes found that circumcising their members was a particularly reliable device. They didn’t have to punch the Identification Friend or Foe (IFF) toggle used in modern aircraft cockpits – they just pulled down their pants. These days inside Oleg Deripaska’s pants, there’s a problem. There’s no cash in his pockets. His United Compamy Rusal has failed to trade at its initial Hong Kong Stock Exchange (HKEx) listing value all year. After falling as low as 31% below the IPO fixing price agreed with Rusal’s banks, the share briefly approached that level last week, only to fall back once more. Rusal continues to trail performance for investors in rival aluminium companies or in aluminium commodity funds. Without the dividends and capital gains from its 25% shareholding in rival Russian mining company, Norilsk Nickel, Rusal’s balance-sheet would be much worse. For his second attempt on the Hong Kong market, Deripaska tried in May to list his small molybdenum miner, Strikeforce Mining and Resources (SMR). Bank of China, Deutsche Bank, and Renaissance Capital were the promoters, and the Listing authority of the stock exchange obliged with a permission to list and a stock ticker. But the investors rejected the share pricing, and the application to list was withdrawn without a prospectus for the heavily indebted mining company ever appearing in public. Deripaska has also been authorizing press announcements of his plan to list his EN+ holding company on the Hong Kong Exchange. In May, as SMR was sinking, Reuters was told that Bank of China and Deutsche Bank would be underwriting the sale of EN+ shares in the fourth quarter. Then in June, the holding said it had bought a 10% stake in the new commodity trading platform, the Hong Kong Mercantile Exchange. The chairman of that is Barry Cheung (Cheung Chun-Yuen), whom Deripaska put on the board of Rusal during the difficult days last December before Rusal was allowed to list and sell its shares. Cheung hasn’t been able, however, to save EN+ from the bin of great Hong Kong expectations, which Reuters publishes weekly. Nor was he able to find Chinese coal buyers willing to invest their cash in coal-mining projects which Deripaska has been offering. A September promotion in Hong Kong of Vostsibugol aroused publicity, but little demand. According to Vostsibugol’s website, with three open-pit mines it is “the largest producer of power-generating coal in the Irkutsk region. In 2007 Company’s production extent amounted 9.5 million tonnes of coal. In 5 years Company is planning to increase the extent up to 20.7 million tonnes.” That drawing-board increase in output requires money Vostsibugol, En+ and Deripaska don’t have. At a September presentation at a Kowloon hotel owned by Robert Kuok, one of Rusal’s anchor shareholders during its listing process, Dmitry Udin, the strategy director at EN+, upped the plan projections even more. He claimed EN+ was in negotiations with Chinese power and mining companies to fund new coal projects. EN+, he claimed, “aims to double its coal reserves in 3 to 5 years to 2 billion tonnes and double annual coal output to 25 million to 30 million tonnes in the same timeframe”. Again, no takers. On November 4, EN+ was still being listed by Reuters in its HKEx pipeline of initial public offerings (IPO), along with additional advisors, Bank of America Merrill Lynch and Credit Suisse. In fact, it has been abandoned for the time being. Instead, the plan to shift secured bank debt to unsecured shares, and create cash to feed the bank demands, was changed. Instead of EN+, the new idea is to sell shares in Eurosibenergo, another of the holding’s units. The change of mind was leaked to a Russian wire agency, Interfax, which has announced that Eurosibenergo is planning an IPO in Hong Kong in September or October, and had held “preliminary meetings” with investors. At Deripaska headquarters, Eurosibenergo was valued at $8 billion with an IPO of 25% of shares aimed at raising $2 billion in cash. Ust-Ilimsk (see image to right), and Irkutsk. Deripaska shares shareholding control of these plants with the Russian government, which is planning to consolidate them in a separately listed shareholding company, Inter RAO. An decree to that effect was signed by President Dmitry Medvedev on September 29. Eurosibenergo’s total revenues, according to an EN+ release, came to Rb76.2 billion ($2.5 billion) in 2009. Electricity generation represents 80% of the sale revenues; the retail and engineering division and coal production account for 15% and 5%, respectively. The power plants have a total capacity of 19.5 Gigawatts, most of which come from the four hydro giants already named. Press leaks suggest that Eurosibenergo is carrying a debt load of at least $1.5 billion. A brief note from Uralsib Bank analyst Matvey Taits calculates that if Eurosibenergo is worth $8 billion, that makes a 120% to 130% multiplication of value from his sum of the parts of the company. He called the numbers speculative, and recommended punters buy Irkutskenergo shares on the back of the IPO publicity for Eurosibenergo. Irkutskenergo shares are currently selling at 78 US cents; that is up 78% over the past three months, but down 25% over the past month. The market capitalization of Irkutskenergo is currently $3.7 billion; that means Deripaska’s stake is worth just $1.9 billion. There are no share trading data for the other assets of Eurosibenergo to explain how they would add more than $6 billion which promoters of the IPO claim to be there. The lateness of the year means that if they cannot agree, the attempt will be abandoned, at least for the time being. There’s one little problem with Eurosibenergo, and one big one. The question has to be asked how the Bank of China, principal promoter of the Eurosibenergo IPO in Hong Kong, has the competence to deal with either one of them. That’s because they are particularly Russian and political in character. The little problem is that Eurosibenergo is a utility company producing electricity for no other clients but Russians; and the biggest of these is Rusal. It is understandable that in running an aluminium production line, Deripaska needs to assure the lowest possible cost of the electricity supplies Rusal requires. Holding stable, or better, reducing the cash operating costs of aluminium production requires holding down electricity charges. And naturally that means holding down profits for the electricity supply units feeding Rusal’s smelters. In short, Eurosibenergo is a transfer-pricing type of company, and if Rusal gets its way, it means to continue benefiting from the cheapness of its power supplies. So, if you are thinking of buying Eurosibenergo’s shares, you are buying a piece of the action as Deripaska shifts his revenues, costs, liabilities and profits from one of his pockets to another. If you want your share in Eurosibenergo to grow in market value, profits and dividends, you can only do so by raising the sale price of your electricity. And that is going to hurt Rusal’s cost and profit line. You don’t have to guess which one of his pockets Deripaska will favour. You can be sure he will not be asking the Eurosibenergo shareholders when he makes his choice. That’s the small problem. The big problem with Eurosibenergo is that it is fully regulated by the Kremlin, and its profitability depends on Kremlin favour. If the Kremlin decides it wants to lift the profitability of Inter RAO, it will want to lift the profitability of its stakes in the Krasnoyarsk and Irkutskenerego units. Deripaska exercises operating control of these units, but the government has blocking stakes, as well as de facto control through its regulation of prices. There is no point in asking either the Chinese or the Germans who staff the underwriters, and run the roadshow presentations for Eurosibenergo what they can guarantee for the price of Eurosibenergo’s electricity. They are bound to say that Deripaska is “close” to President Medvedev and Prime Minister Vladimir Putin. But that will hardly reassure potential sharebuyers. Putin has already demonstrated that he will not allow Deripaska to continue his hostile takeover of Norilsk Nickel. Unpublished so far in Russia, but well known to Rusal’s bankers, is that Putin’s decision to block a change in the Norilsk Nickel board and management was given to Deripaska face to face in Sochi, several days before of the emergency general meeting of shareholders on October 21. Vladimir Potanin’s holding Interros, Deripaska’s target, already knew, and thus that Rusal would be defeated at the EGM vote, when Potanin also met Putin in Sochi the week before. If Putin has refused Rusal permission to take control of Norilsk Nickel, why should anyone suppose he will allow Deripaska to keep control Eurosibenergo to the disadvantage of the state-controlled energy holding, Inter RAO? This is not as speculative a question as it looks, because Putin has already decided this once before. In 2004 and 2005, Victor Vekselberg — now chairman of the Rusal board, but then owner and chief executive of rival company, Siberian Ural Aluminium (SUAL) — was trying to get the state electricity holding, United Energy Systems (UES) and Gazprom, supplier of feedstock to UES power stations, to agree to a long-term electricity supply and pricing agreement for his bauxite mining project in Timan, in the Komi region of northwestern Russia. A guaranteed forward price of electricity was the precondition for SUAL to get the full financing it required to build its mine, the first new bauxite deposit to be opened in Russia for a generation, and follow with an alumina refining plant. SUAL had tried joint venture operating deals with international aluminium producers Pechiney, Alcan, and Alcoa. All insisted that Vekselberg show he had the Kremlin’s guarantee for the electricity supply and price. He couldn’t. Instead, according to a source close to Vekselberg, he was told that if he agreed to sell half of the Timan project to Deripaska, then the power undertaking would materialize. Having no choice, in April of 2005 Vekselberg agreed to what amounted to a Rusal takeover of the bauxite mine. In another 18 months, Vekselberg was also ordered by Putin to abandon his plan to list SUAL on the London Stock Exchange (LSE), and merge with Rusal. Again, having no choice, he did what he was told. However, when the underwriters for Rusal’s attempt to list the merged company shares on the LSE in 2007 asked for Putin (then prime minister) to sign a guarantee against nationalization of Rusal, Putin refused. That was one of the powerful reasons why the listing attempt had to be withdrawn. There is a very good Russian reason for the limitation of Kremlin support for Deripaska’s ventures. So long as the latter earns profit which the Kremlin judges to be in its interest, Deripaska gets support. But when Deripaska’s ambition gets the better of the Kremlin interest, then he gets a visit from the mohel*. From the point of view of both Putin and Medvedev, aluminium is nothing more than the solid form which electricity takes when applied to alumina powder in an electrolytic production line. That was why Vekselberg was asked by Anatoly Chubais, head of UES in 2004, why he should think the state utility should give up its right to make profit in order that Vekselberg’s SUAL should prosper. That remains the big risk for potential sharebuyers of Eurosibenergo, and there is no sign that there are Chinese investors willing to accept it. 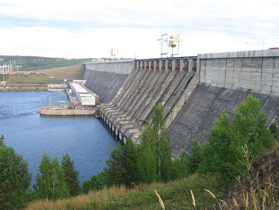 On November 1, Eurosibenergo announced it has struck a deal with China Yangtze Power Co. Ltd., the largest listed hydropower producer in China, for cooperation in the development of hydropower projects in Russia. The Agreement was signed by Andrey Likhachev, Chairman of EuroSibEnergo and Cao Guangjing, Chairman of China Yangtze Power. Everybody wishes China Yangtze Power well in getting an advantageous price regime from the government in Beijing. But is China Yangtze Power going to buy a block of shares of Eurosibenergo on the betting it will go equally well for power pricing in Moscow? The answer, according to the Hong Kong market source, is: “I doubt it somehow, just as Chalco declined to get involved with Rusal.” He is referring to the refusal of the Aluminium Company of China to refuse to commit to an equity stake in Rusal, ahead of the January 27 listing. The Uralsib bank analyst Matvey Taits reports that the attempt at marketing Eurosibenergo this week in Hong Kong may be worthwhile by itself. “We believe,” he reports to clients, “that Eurosibenergo’s IPO could improve corporate governance…and increase their transparency.” Potential sharebuyers are likely to ask for both before they make up their minds. But that won’t help with the great unknowable – whether the Kremlin prefers to optimize aluminium profits at the expense of electricity profits, or vice versa. * Mohel is the Hebrew name for the rabbi who conducts ritual circumcisions.